Self Catering Log Cabin with Hot Tub Devon, Log Cabin with Hot Tub Devon. Devon Log Cabin Breaks. Overlooking the beautiful Yealm Valley in the South Hams, this stand alone private idyllic Devon log cabin with private hot tub will provide you with a peaceful and tranquil retreat away from the hustle and bustle of city life. Situated in the South Hams, Devon we are just 5 minutes from the village of Yealmpton and many gorgeous country pubs but yet we still remain secluded and sit between rolling hills and lush green ﬁelds. Constructed entirely of wood this eco retreat nestles perfectly into its surroundings, and if exploring the Devon countryside is not your thing, you can submerge yourself into the private mood lit hot tub! All you have to do is lie back amidst the bubbles and let your cares dissolve into the air with the vapours. It is an experience guaranteed to soothe even the most fretful soul. IS YEALM CABIN FOR YOU? The South Hams is England's most outstanding area of beauty and you could be in the heart of it. Local villages are bursting with character and charm as well as delightful shops & cafes used by visitors and locals alike. Minutes away from your self catering log cabin in Devon, you will come across beaches to die for. Mothercombe Beach, just five minutes away from the cabin, was used as a location for Jane Austen's Sense and Sensibility. On your doorstep there are miles and miles of country trails along the river Erme and the dramatic South West coastal pathways offer scenery that is literally breathtaking. Please CONTACT US for booking, or check our AVAILABILITY & PRICES or SPECIAL OFFERS. Traditional timber log cabin with private hot tub complete with breathtaking views of the Yealm valley. Secluded tree studded picturesque Devon countryside. £495 - £795 a week, but shorter 2/3 night breaks are available. Couples, families, small gatherings or even a place to escape alone! This private patch of bucolic Devon includes 1 acre of lawn overlooking our fields and stables where guests can relax in the sunshine. Guests can follow a lane through leafy woodlands that lead you into the local village of Yealmpton (bring wellies!). We even have an observatory should you want to book an appointment to watch the stars with our local astronomy expert. 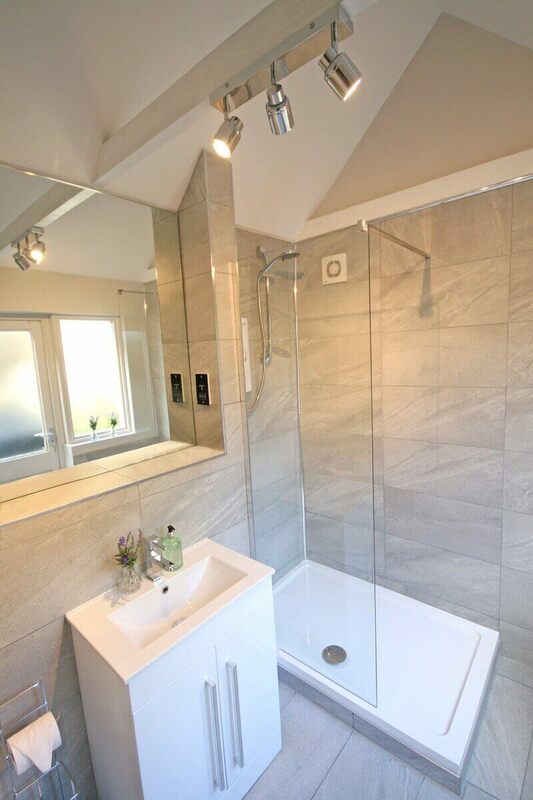 A private courtyard complete with mood lighting and your own 4 seater hot tub awaits, including a separate underfloor heated luxury shower room thats literally a stride across the private courtyard from the main bedroom or front door - maximising space inside the cabin.